Winner carried by jubilant athletes. 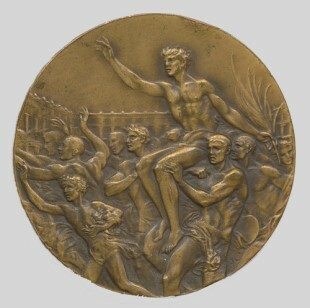 The dies with which the Prize Medals for the Games of the Xth Olympiad were stamped were cast from the official Olympic hubs used in previous Games. 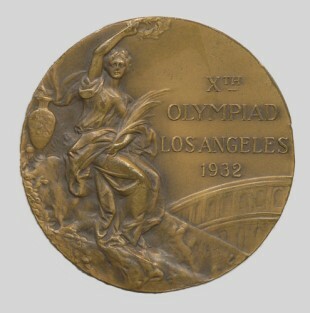 The only alteration made was that of changing the wording to IXth Olympiad Los Angeles 1932. 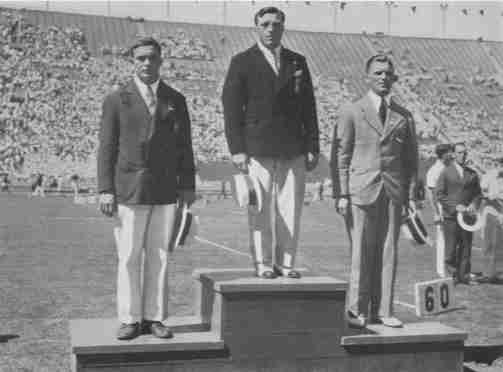 The medals themselves were stamped in the United States, and finished in gold, silver or bronze, according to the requirements of the Protocol.